Someone knows which tool i can do that? I heard that Obd2 Key Programmer Tango will do, but i am not willing to spend that money if only need to read it. AK90 key programmer possible? AK91 plus will identify keys for all EWS and CAS , showing VIN , key No. and mileage from 1995-2009. But if you need to change/correct mileage on E9x, you can go for Tango Transponder Programmer or Digimaster 3 odometer correction master. 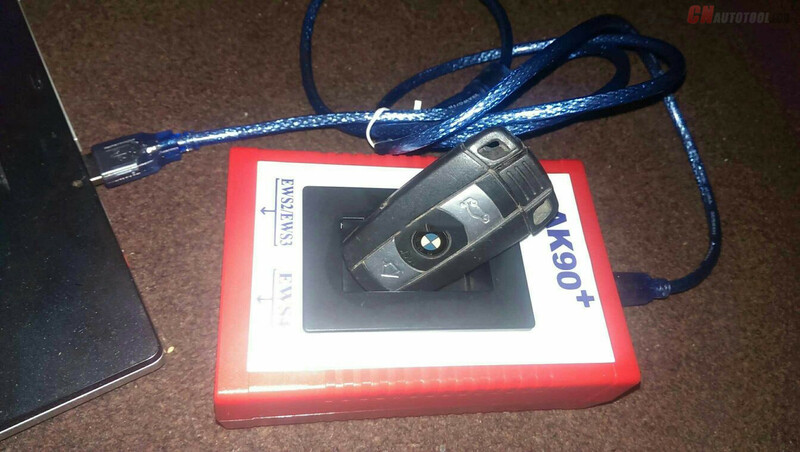 Compared with AK90+ Key programmer,BMW AK91 Plus Key Programmer has more functions. 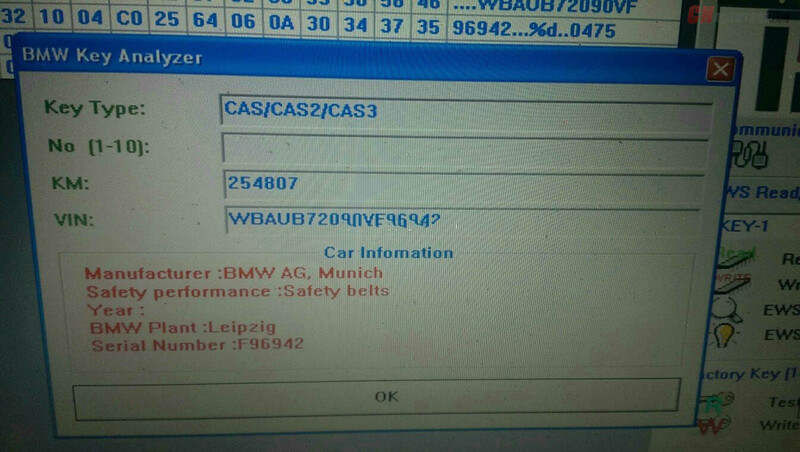 V4.00 BMW AK91+ Key Maker adds key information identification function of the new BMW F series CAS4/CAS4+/ new Porsche. CnAutotool.com BMW AK91 Plus Key Programmer V4.00 BMW AK91+ Key Maker for BMW EWS 1995-2009 and new Porsche. 1. 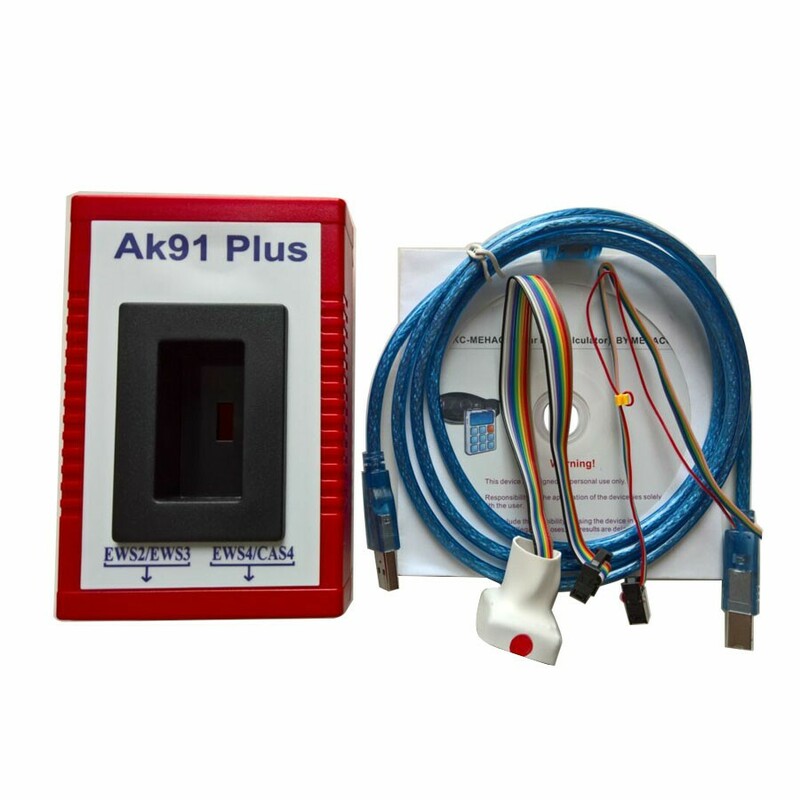 AK91 Plus key programmer from obd2tuner.com not only supports EWS2.1/EWS2.2/EWS3/EWS3.3/EWS4/EWS4.4, but also adds key information identification function of the new F series CAS4/CAS4+/ new for Porsche; support reading frame number, key state, KM data. 2. CnAutotool.com BMW AK91 Plus supports E series PCF7945 chip, F series CAS4/CAS4+ factory and the original factory PCF7953 chip refresh function (restore to a new key state); no need to disassemble the chip free, safe and efficient. 3. BMW AK91+ KEY-PROG from obd2tuner.com increased by 1995-2009 in all EWS read the key information functions; improved some of the EWS to read and write speed. For more details information, welcome to visit our website www.cnautotool.com, our email (sale@cnautotool.com) if you have, Your Private Secretary in Car Repair Area! 16 Hours Online at your Service! CnAutotool – China OBD2 Auto Tool Automotive Diagnostic Tools Car Key Programmer OBD2 ECU chip tuning tool Center.